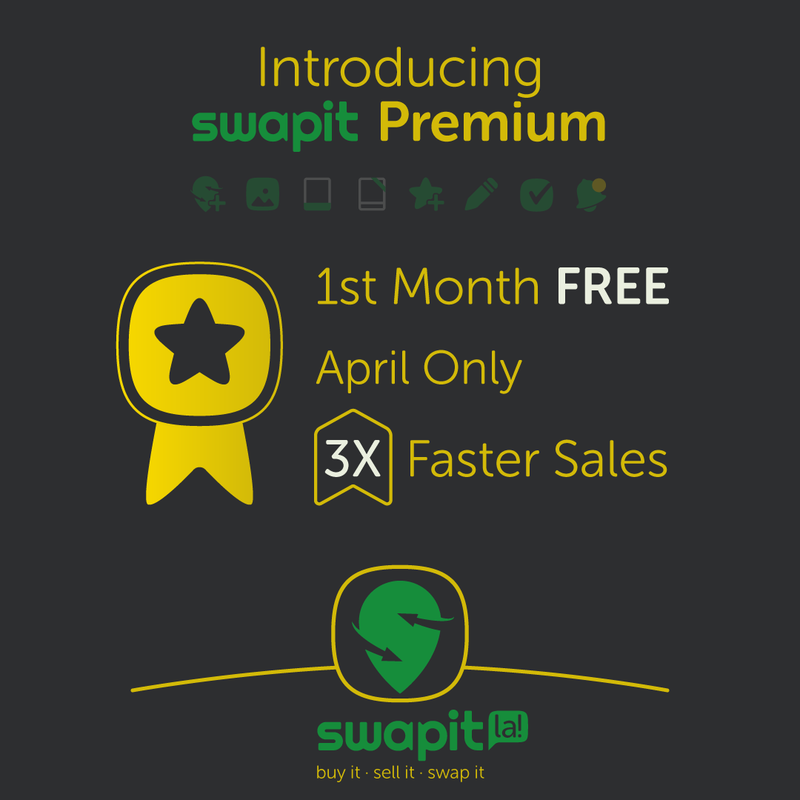 Leading Marketplace Platform Offers 1-Month Free Swapit Premium in April. HONG KONG, Apr 12, 2016 – Swapit, the unique hyper-local marketplace for trading pre-loved items, announced today their launch of Swapit Premium – an exclusive set of premium features aimed at making it even faster to sell pre-loved or new items on the Swapit marketplace. With over 69,000 traders, Swapit is a vibrant marketplace in Hong Kong and across the region. The number of traders is currently doubling month-over-month over the past quarters, which creates a very dynamic marketplace with high marketplace liquidity. Swapit Premium launches as a monthly subscription giving Premium Members full and unlimited access to a range of Premium Features that are aimed at closing deals significantly faster than before. During the launch month of April 2016, all customers who join Swapit Premium will get their first month of Swapit Premium for free. Founded in 2015 in Hong Kong, Swapit operates a hyper-local mobile marketplace that brings together buyers and sellers, who are already nearby each other. By providing an exclusive real-time experience combined with their award-winning design, Swapit has already attracted thousands of traders across the territory. Furthermore, Swapit has been accepted into industry-leading accelerator programs, such as SoftLayer Catalyst, Microsoft BizSpark and Facebook’s FbStart, which provide access to over US$200,000 worth of products and services. Swapit has raised funding from Aria Ventures and Private Equity in late 2015 and early 2016.